Our boutique training facility and studio create positive environments where there are no attitudes and no judgements — so whether you’re an experienced fitness buff or a first timer, there is something for everyone at D& I Fitness. NEVER THE SAME. FITNESS THAT EVOLVES. 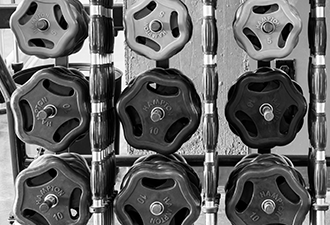 The D&I team has over 20 years collective experience in the fitness arena. 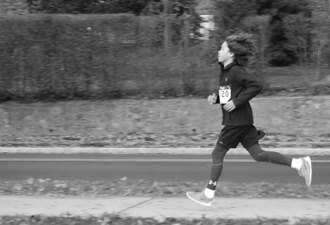 Whether former competitive athletes or gifted individuals, our trainers have exceptional qualifications. The D&I approach takes the personal training concept and applies it to a small group format. All programs are unique so they are never boring and never, ever repetitive. PERSONAL TRAINING CONCEPT. SMALL GROUP FORMAT. D&I Fitness offers something that you won’t get any where else — personalized training attention within a class atmosphere. 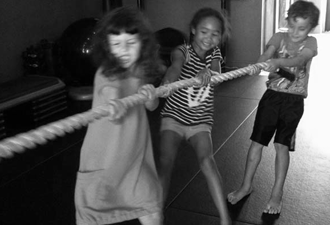 We have tailored our class offerings to meet the needs of the local communities, and our flexible schedule ranges from 6am strength + conditioning sessions to a variety of after school classes for kids to evening kickboxing. After having my second baby I found it impossible to get the extra weight off. I worked out regularly and still could not get back in shape. I started resenting the gym and my body. Delon has taught me to push my body while trusting its strength. 6 months later I am in better shape than before I had kids and I love working out again! Love the classes – truly ‘never the same’. Small class sizes allow for the instructors to know your name and encourage you throughout. Never intimidating either as instructors offer variations on exercises to accommodate any level. Thanks again for another great class! I really appreciate all your encouragement and the kindness, thought and expertise you put into each and every class. It’s always a fun (even at 6 am) and challenging experience! Because of you, I continue to feel better and stronger all the time. I look forward to more fun this Spring and Summer. Your kids and teens fitness and Muay Thai classes are wonderful and we have been so happy with our son’s experience. My wife and I love D&I! It’s conveniently located, has just the right equipment (all clean and modern) for a wide variety of total body workouts, and a staff that couldn’t be more knowledgeable, helpful or friendly. At D&I we really feel like we’re part of a family! I have been going to D&I for over 3 years. I have never been a member of a gym that felt more like a community and a family than I have at D&I. I get so much out of the classes, and am in the best shape I have ever been in. In addition, I feel like I am more than just a member, but a friend to the staff. If I miss a week, the staff checks in on me, when I walk in they welcome be by name. D&I makes me feel like I can accomplish anything, they notice when I improve or if I am having an off day. They know my weaknesses and strengths and take the time to help me strengthen and get better whether I am in a group class, private training or just working out on my own. I LOVE D&I! There is a spirit at D&I that goes beyond what you will find at another gym. You genuinely feel like you are part of a special community — a group of brothers and sisters that have come together with the same goal: to support one another in improving our bodies and our souls. D&I Fitness is an amazing addition to our community. I guarantee that once you try one of Delon’s classes — you’ll be back! Delon can help you achieve your fitness goals and his changing workouts are guaranteed not to bore you. I have witnessed first hand Delon’s ability to tailor workouts to meet the needs of each participant. He is an amazing instructor, coach and motivator. I had never participated in Muay Thai before and have become hooked. The best part of all is that this amazing facility is right here in our community — minutes from home. Outstanding instructors, great classes and a wonderful family atmosphere make this gym both fun and motivational. Best people. Best place. So glad they are in town. Amazing workout with great trainers! I’m an absolute fitness fanatic and have been training with Delon for almost ten years. He consistently amazes me – not only with his ability to create fresh challenging and effective workouts, but also by his talent for spotting an injury or weakness and offering solutions to work through/with them. I have been working out with Delon Nelson on and off for 13 years. I have been a loyal devotee of D&I for three years – going at least Saturday and Sunday every week. Delon continues to stay ahead of the boutique fitness curve and has hired wonderful young professionals who espouse his unique Philiosophy of training hard but smart in a challenging yet supportive and fun environment. At 47, I’m in the best shape of my life – as is my husband and we owe it all to D&I! Can’t say enough good things about the whole team, Delon, Daria, Marcus, Ashley and Diamond. They are a part of our family and now everyone in our family goes to D&I! The D&I community feels like family. Feels so good walking in there for a workout! D&I is not only a phenomenal place to stay fit and strong, it is a supportive, friendly community. I know I am guaranteed to get a great workout in excellent company every time, and am thrilled that as the gym has grown, the caliber of instructors has remained stellar. After decades of exercising out of obligation, D&I converted me to a true exercise lover. I am so grateful for my strength and D&I peeps! I really enjoy the friendly and welcoming atmosphere at D&I, and the staff are fantastic. Best gym in the area. Group classes rock, all staff members incredible professionals and people! I had never had time for a personal trainer and just felt it was really not my lifestyle as I work a bunch. First off, to spend a bunch of money, I must be impressed. Lots of personal attention. Here the trainer goes the extra mile. I lost 33lbs and I have 10 more to go! Great people. Great staff. Great classes. Great facility. Not much more to say. D&I has a great environment with talented, energetic and supportive instructors. Love the new space too! D&I is not just another gym, it’s a second home for me and my family. It’s a place where we all receive specialized attention, no matter what our needs are. 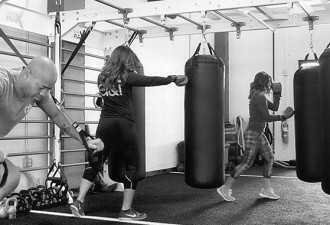 The trainers and staff go above and beyond to provide the best gym experience possible. Thank you! I’ve been training at D&I for almost 3 years and I have never been in better shape. I love all the instructors and it’s such a supportive and friendly environment that I always look forward to going. I like that it’s “never the same” so you never get bored and it’s also beautifully designed. I highly recommend it. Delon is the best. I’ve worked with lots of different trainers and have never enjoyed it as much as I do at D&I Fitness. The workout is so hard, it’s different every time and Delon has such a nice way about him. It’s the best workout around. And he does great classes for kids. My 8 year old son hates everything besides video games and kickboxing with Delon. We are lucky to have D&I Fitness in South Orange. I’ve worked out with a few trainers and I have to say, Delon Nelson is the absolute best! He motivates and excites his classes to get the best results. You lose weight, build muscle AND confidence. As soon as my daughter is old enough, I’m enrolling her! Do yourself a favor and try a class out! D and I is way of life. It’s life changing. I never liked working out now I love it. D and I is a family that I am so thankful to be a part of. D&I is like my second family. I know the workout will be challenging, but the music, energy and awesome people make it great each and every time. D&I ROCKS! As everyone else has said – I am addicted and you will be too if you try one class! 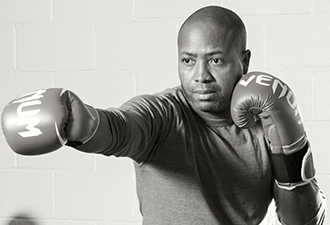 Delon is an amazing instructor who keeps you motivated. No class is ever the same so it’s easy to stay interested!! 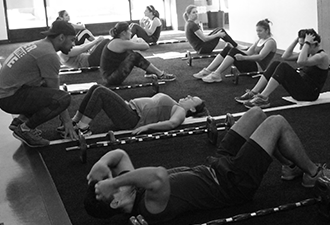 TRY A CLASS…you won’t regret it. D&I has become an important part of my life. The positive and encouraging D&I team has taught me a love for a great sweat!! Nothing helps start your day like a great workout at D&I! D&I is a great gym with a great trainer, Kru Delon. Its a easy going atmosphere where you will get the workout of your life that is fit to your level of fitness. The people are friendly and the Muay Thai is addicting. Im hooked! D&I is not only the perfect gym, it is the best community of people. I never thought a gym would be my happy place! I love taking classes at D&I because they are geared towards everyone making progress from their own level upward. The workout is challenging, the instructors knowledgeable and encouraging without exception. And what is also really important is that it is in a judgement free zone. This is true towards myself and two children who work out here as well. I walked into D&I fitness in June. Four months after ACL/meniscus surgery and months of physical therapy. I was no longer injured, but definitely out of shape. Delon reviewed the PT’s report and created a exercise program aimed at helping me regain strength and flexibility. He adjusted my workout weekly keeping the sessions fresh and interesting. As I got stronger and more sturdy, increasingly more difficult exercises were added with frequency. Delon always checked how my knee was feeling and made sure stretching was an active component to my fitness regime. Four months later, seven since surgery, I’m back on the tennis court, and feeling stronger and better then ever! Delon is a very knowledgeable trainer who challenges you to your capabilities with every workout. He got me back on the court! I am a huge D & I fan. I enjoy everything about D & I — especially Delon and his great team! The workouts are challenging, yet fun. I have gotten stronger than I thought possible at this point in life. Delon makes everyone feel like an athlete. I look forward to my time at D & I Fitness and I enjoy it’s community. It’s a special place!